"If it doesn't scare you, you're already dead!" In this horror thriller, a small group of survivors hide out in a remote farmhouse after they're cornered by ravenous flesh-eating zombies. This low-budget film helped spawn the zombie genre that dominated American entertainment culture for a few years in the early 2010s. 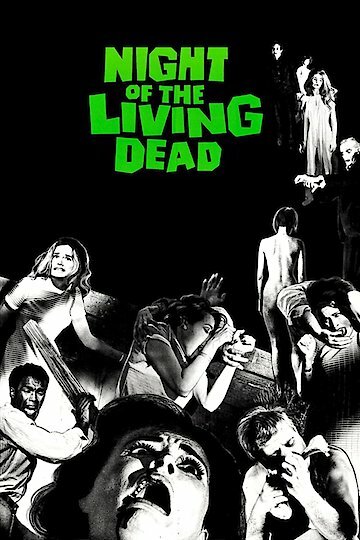 Night of the Living Dead is currently available to watch free on Tubi TV, Popcornflix, Vudu Free and stream, download, buy on demand at Amazon Prime, FlixFling, Starz, EPIX, Shudder, FlixFling VOD, Amazon, Vudu, Google Play, iTunes, YouTube VOD online. Halloween is nearly upon us, and we don't have time to be searching every corner of the internet for a scary movie or spooky TV show to watch. Fortunately, Hulu is here to help, and the service's Huluween section points us toward a few choice selections from its catalog.